Replace the letters with numbers to make this a valid mathematical equation. Find the value of RECTOR. The first user who solved this task is Roxana zavari. 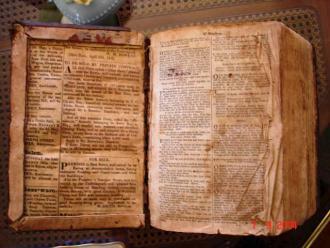 A little boy opened the big and old family Bible with fascination, looking at the old pages as he turned them. Then something fell out, and he picked it up and looked at it closely. It was an old leaf from a tree that had been pressed in between the pages. Born 21 Apr 1843; died 4 Aug 1905 at age 62. German anatomist who was the first to observe and describe systematically the behaviour of chromosomes in the cell nucleus during normal cell division (mitosis, a term he coined in 1882). Thus, he was a founder of cytogenetics as a branch of science to study chromosomes, the cell's hereditary material. Flemming coined other terms: spireme, aster, chromatin, achromatin, monocentric and dicentric phases. Chromatin (Gr. chroma = colour) referred to certain fragments of the cell nucleus that took on a strong colour from the dyes he used during microscopic study. Flemming did not know of Mendel's work, so 20 years passed before the genetic implications were realized. Chromosomes, formed from cromatin, were named in 1888 by Waldeyer-Hartz.